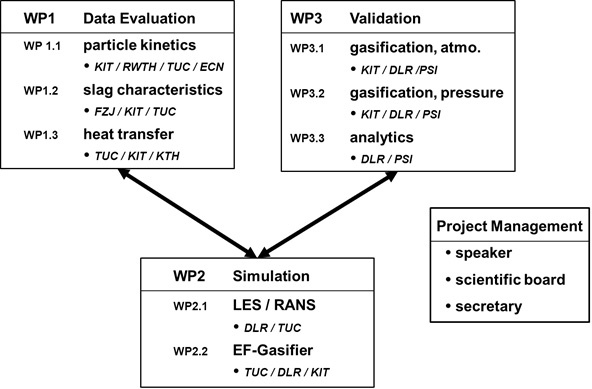 The research work is focused on the modeling of the thermo-chemical conversion process of solid/liquid fuel in an oxygen-blown high pressure entrained flow gasification reactor. The mathematical description of the multi-phase reacting system at high pressure and temperature under sub-stoichiometric conditions based on a sound set of experimental data is the major scientific challenge. 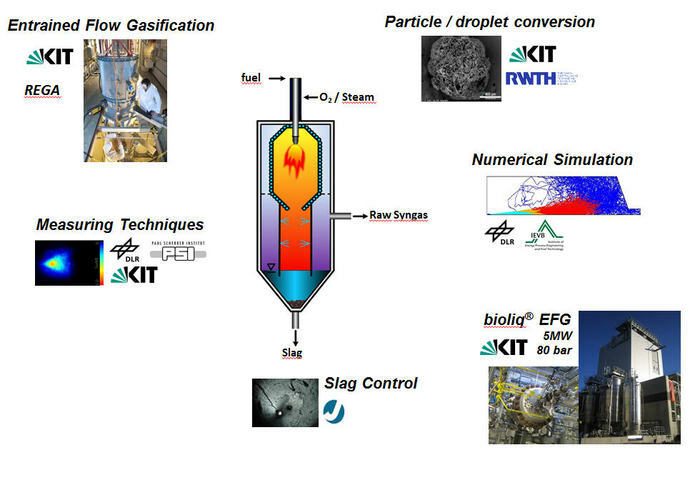 In order to reach this goal, the research partners of the HVIGasTech will contribute with their relevant scientific expertise (heterogeneous reaction kinetics, thermo-chemical and thermo-physical properties of oxidic slags, radiative heat transfer for optically dense atmosphere, entrained flow gasification, in-situ analytics at high pressure, numerical simulation of highly complex multi-phase processes) to the objectives of the research task.